Today was a big day for CoolIT at CES 2011 as they have officially announced a partnership with Corsair which will have them working together to create cooling products using the Corsair brand (you can read the entire press release here). Basically what is happening is CoolIT is going to cease making coolers using the "CoolIT" brand and will be now releasing coolers under the Corsair brand. The first cooler announced with the new Corsair H60 which is essentially the "CoolIT Eco II" (you can read our entire review of the original CoolIT Eco here). This announcement is very substantial for CoolIT as it means you will no longer being seeing the CoolIT brand on store shelves in the year to come, but instead you will see CoolIT working with Corsair and other PC Builders and PC component manufacturers to create products that use the CoolIT technologies. This most definitely isn't the end of CoolIT, rather it is more of a move that helps CoolIT focus on their technologies instead of trying to build a brand and sell their cooling products directly to consumers. 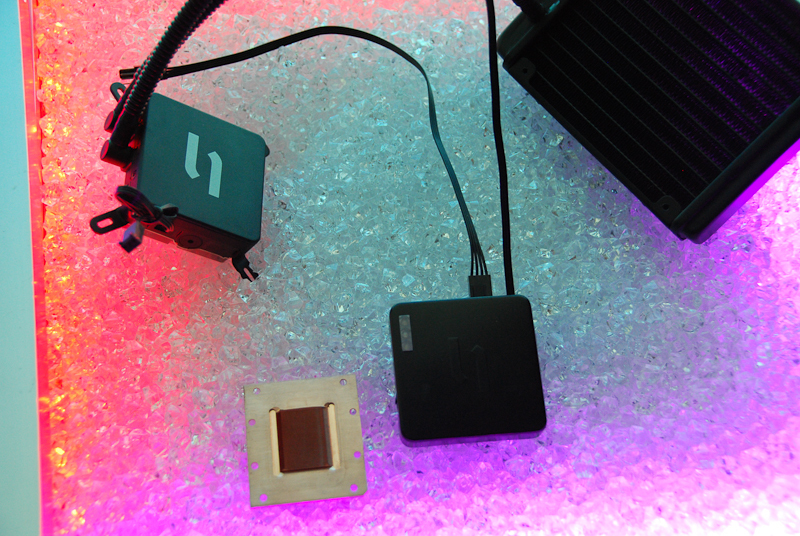 CoolIT will also be working with Corsair to create "Corsair Link" which will allow users to control lighting and cooling of multiple devices all easily through a software suite. CoolIT has developed their "Maestro" software and it appears that the "Corsair Link" will be very similar to this with a few enhancements and updates. Another announcement at CES 2011 was that CoolIT and Inno3D have formed a partnership that will see some Inno3D video cards being shipped with CoolIT OMNI watercooling technology right out of the box (based on the CoolIT OMNI technology). The first card that has been announced is the iChill GTX 580 Black Series which is based on a NVIDIA Geforce GTX 580 from Inno3D. The full press release of this announcement can be found here. What do you think about CoolIT's big announcement? Share your thoughts in the forums using the link below. Please check out our Day 1 CES 2011 Gallery here.